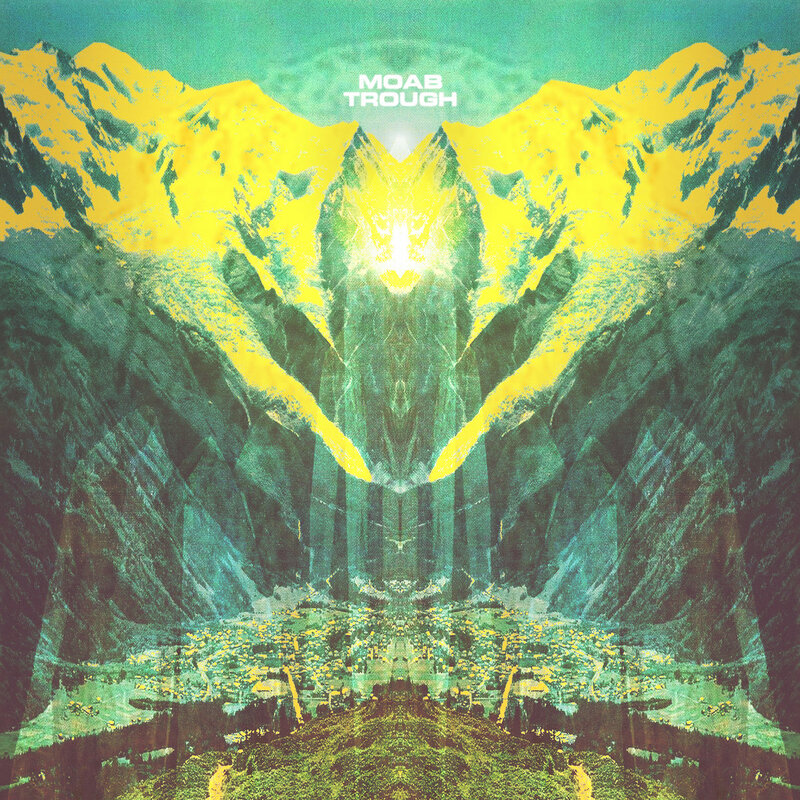 Tragedy couldn’t stop Moab from turning out remarkably solid doom metal with Trough. The band utilizes different approaches throughout the album, with infectious groove tying it all together. Moab, much like their native Los Angeles, have a knack for bringing differing elements together in harmony. A self-described psych metal trio, the band lost much of its personal harmony when drummer and founding member Erik Herzog died during the production of their latest effort, Trough. This no doubt marks the album with a bittersweet tinge, but with the help of Brad Davis (drummer for Fu Manchu), the band saw production through to release what will likely be remembered as a sonic memorial to Herzog, perhaps to accompany the virtual one the band installed for him. Despite the tragedy, it still contains all the soul and energy you’d want an album like this to have. Trough is a sampler platter of doom-influenced metal. It approaches the same doom core from different angles, but never comes off as disjointed. You have straightforward, time-taking groove with “Skeptics Lament” and “Into the Sea Swine”, whereas “All Automatons” has more of a progressive flavor with its riffing and melodies. Those tracks and others contain flecks of psychedelia and classic rock influence, making the sound bold and timeless. Vocal tricks like multi-layering and modulation provide a lot of depth for a listener to pick up on. “Skeptics Lament” has this and more, including stuttering staccato chords that bring a hallucinogenic heat to your ears. You can almost see the mirages in the distance, no matter what temperature it is around you or your location. Doom lives and dies by its guitars, especially this particular kind that really puts melody at the forefront instead of elephantine weight. “Fifty Thousand Tons” is a high-energy driver of a record with heady bass from Joe Fuentes and catchy guitars from Andrew Giacumakis (who also sings). “Fend for Dawn” is a spiritual sequel to “Fifty Thousand Tons”, holding over much of the energy from that track to create the fastest song on the album. The uptempo is akin to Deep Purple and quite lovable, especially if you’re looking for some music to keep you going, but Trough really shines in the middle and lower tempos. When you play doom metal like this, it’s pretty natural for it to dip into the waxy fuzziness of stoner metal. They’re not too far apart, after all, and the inclusion of Brad Davis probably made it all the easier. In this regard, “All Automatons” is a favorite with its Elder-like leads. The bass is warm and inviting, clean drums have some punch to them (not to mention cowbell), and the vocals are pitched high and lofty where they sound their most Osbournian. “Turnin’ Slow” is where the album’s mood really hits a high note, though, by – paradoxically – going as low as possible. It’s the only ‘sad’ sounding song to be heard on Trough. Vocals and buzzy bass lurch throughout the track, giving me chills from how harmonious and powerful it sounds. It builds up to a lyrical refrain ‘I’m with you‘. It’s ever so slightly off-putting, but it’s just as quickly dispelled by splashing drums and bluesy guitar leads. I hope Moab are proud of what they have achieved here. They have pushed forward after a great loss, showing off the talent of their fallen member and friend, making an enjoyable treat for their fans and connoisseurs of the genre like me in the process. Trough may not explicitly carry the weight of its circumstances with it, but knowing what transpired during its creation does, indeed, make one appreciate it all the more. Great, hair-raising vibes tie together deftly executed, multifaceted metal that should be explored by gluttons of groove. Wonderful stuff.